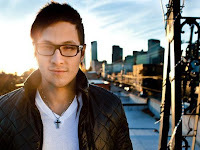 Some of you might be familiar with Michael Castro from his American Idol days. I for one never watch Idol so Castro is new to me. Nevertheless this guy has a free download that would fit nicely into Pop radio. I also like the guys voice. Heck, I may have just voted for him if I ever tuned into the show. This guy has stole the spotlight in terms of an artist that has grabbed my attention lately. I sampled his free tracks on Noisetrade and enjoyed it enough to seek out the rest of his music. I enjoyed his album All The Faint Lights so much that I bought the album on Amazon. Probably going to try and catch him live in concert as well. Check out this guys music. 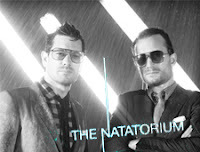 For a taste of something different, check out this free download from Natatorium. I was entertained just by the music alone. You can file this song into the "catchy" category as well. Attwater's debut single "Never Gonna Happen" is available for free download and it shows off what kind of potential this group has. Their only problem may just be finding a stage big enough to fit the entire group on. I counted 8 members in their video! They're definitely packed with enough vocal and musical talent to fit the Country music scene.